When I was in Wheeling last month, Ohio University – Eastern sent a reporter to conduct a radio interview about The Color of Sundays. Check it out here. Championships are made in the late rounds. Everyone knows about the first-round picks, the guys sitting in the green room waiting for their name to be called. The only suspense centers on what team exactly will choose them — not whether anyone will. Many NFL insiders knew about “Mean” Joe Greene… Read the rest here. 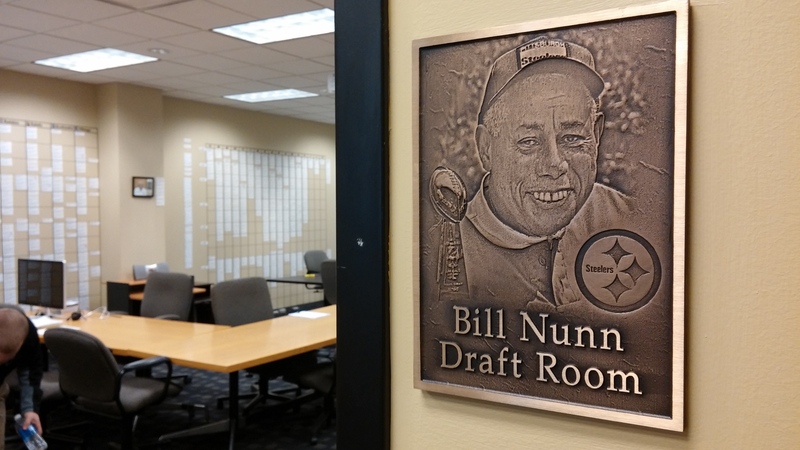 A plaque honoring scout Bill Nunn Jr. hangs outside the Steelers’ draft room on Pittsburgh’s South Side. Photo credit: Andrew Conte. 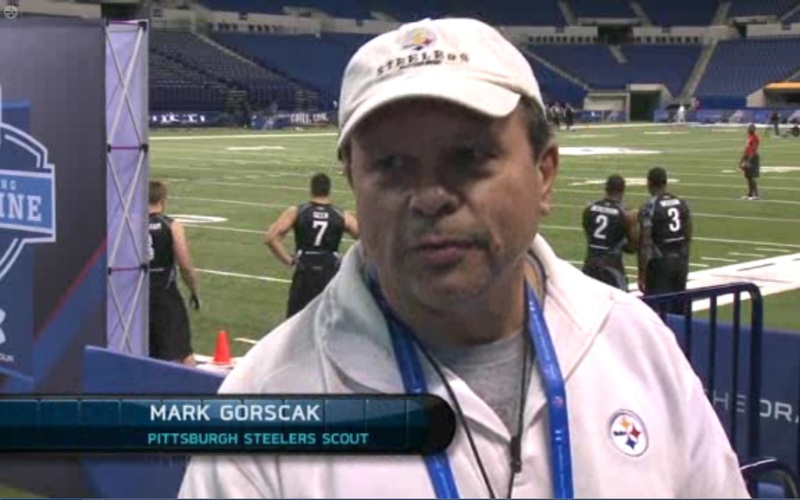 Steelers scout Mark Gorscak at the NFL combine. This was Bill Nunn Jr.’s time of year. He sat in the stands to watch the Super Bowl, but he sat at the center of the Steelers’ operations in the weeks leading up to the NFL draft. The NFL combine taking place in Indianapolis this week remains a highlight of the scouting year. 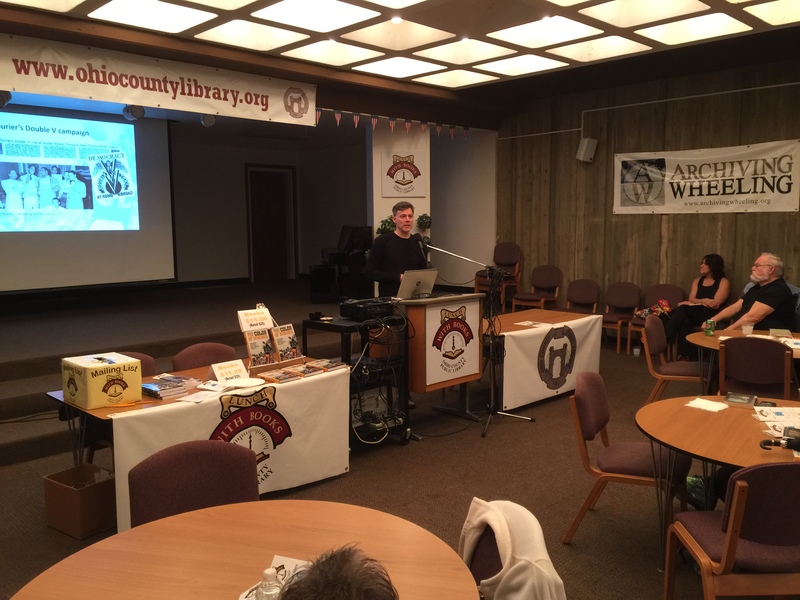 I wrote this blog post below for my publisher Blue River Press. BTW, be sure to watch for Steelers scout Mark Gorscak on the NFL Network. He runs the 40-yard-dash and plays a starring role each year. For all of my Red Devils friends, Mark graduated from Dickinson in 1979. Everyone sees the confetti falling on the Super Bowl winner – but few notice where championship teams begin. The process takes place in quiet, distant moments when NFL scouts start looking for talented athletes. Most use timers, measuring sticks and notepads to evaluate college players across the country. But the best scouts also have an eye for talent, an ability to detect qualities that cannot be measured. 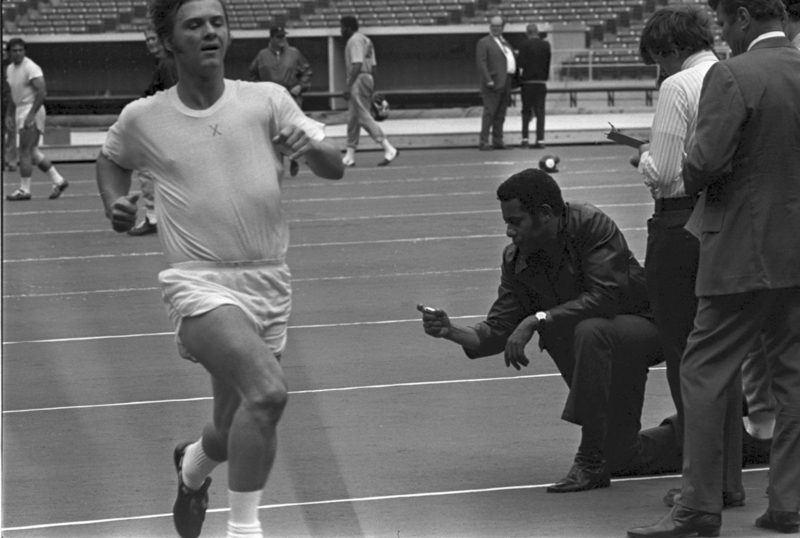 Bill Nunn Jr., with stopwatch in hand, evaluates players for the Pittsburgh Steelers in 1972. Courtesy of the Steelers. The Steelers’ Bill Nunn Jr. worried about today’s scouts. They’re all too connected, he said. They travel in packs. They look at the collegiate rankings. They have a better sense than ever before what other scouts are seeing and thinking. By comparing notes and looking at online evaluations, these scouts can fall into the trap of looking only at the same players as other scouts. In a effort to avoid the embarrassment of missing a player that others are following, they overlook the player no one else sees. Nunn boasted that he often spent a week or longer on the road without checking in. No calls to the office. No calls home. No email, Internet or social media either, of course. Instead, he traveled the country using his own eye – and his unparalleled contacts – to find undiscovered talent. Alone, he had to determine which men had the potential to play in the NFL. Even if a college player could run, jump and tackle, Nunn had to figure out whether he had the hunger and desire for the game. Or whether he had distractions that could keep him from reaching his full potential. For sure there were many failures, but history shows that Nunn ranks among the greatest ever in this ability. To me, Nunn’s greatest discoveries were not the L.C. Greenwoods or the John Stallworths. Those were players that others had noticed too; Nunn was just better at evaluating their true worth. Instead, his greatest finds were Sam Davis from Allen University, Glen Edwards from Florida A&M and Donnie Shell from South Carolina State University. All three were undrafted free agents from historically black colleges and universities. If Nunn had not discovered them – and the Steelers given them a chance – they likely would have stopped playing football. Instead, they combined to win 10 Super Bowl rings. And everyone saw the confetti falling on their shoulders. Just in time for Super Bowl weekend, the latest edition of the Dickinson Magazine has a nice review of The Color of Sundays below. 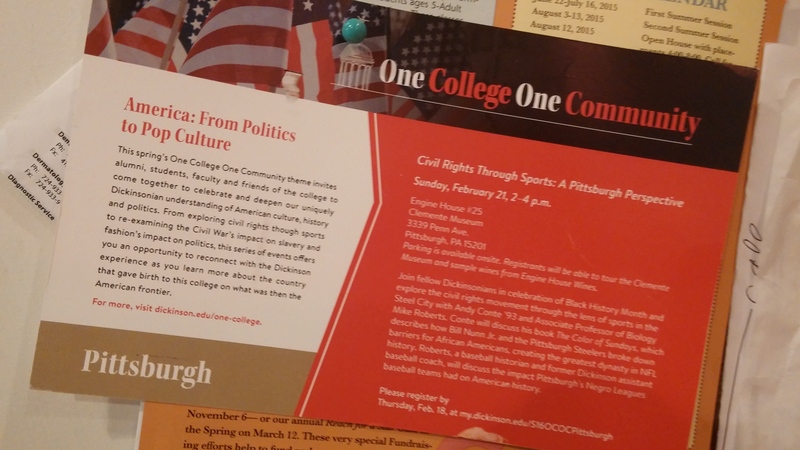 And for all of my Pittsburgh Red Devil peeps, I’ll be speaking at an alumni club function later this month: Sunday, Feb. 21, at the Clemente Museum in Lawrenceville/Bloomfield. Register here. 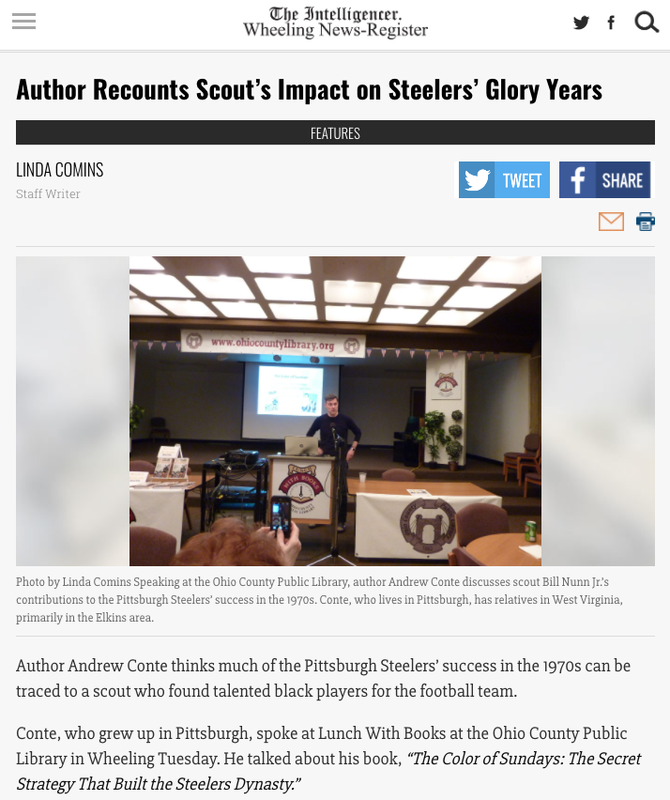 Andrew Conte ’93’s second book delves into the moments that shaped Pittsburgh Steelers’ history, both on the field and in the back room, and led the Steel City to four Super Bowl victories. 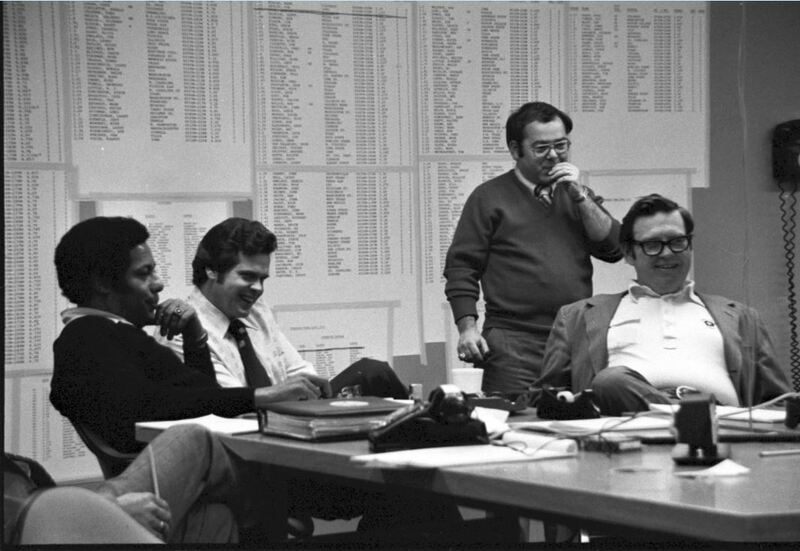 The Color of Sundays tells the story of how Bill Nunn Jr., Art Rooney and the Steelers’ front office reshaped the franchise. Nunn’s strategy was simple: Scout talent where many other teams had failed, and bring in players from historically black colleges and universities. This period in Steelers history was instrumental in the building of the Steel Curtain defense, as well as the integration of important offensive picks, including the future Hall of Famer John Stallworth. Today the Pittsburgh Steelers are one of pro football’s most successful and prestigious franchises, thanks to the Steelers’ front office having its sights squarely focused on the future. 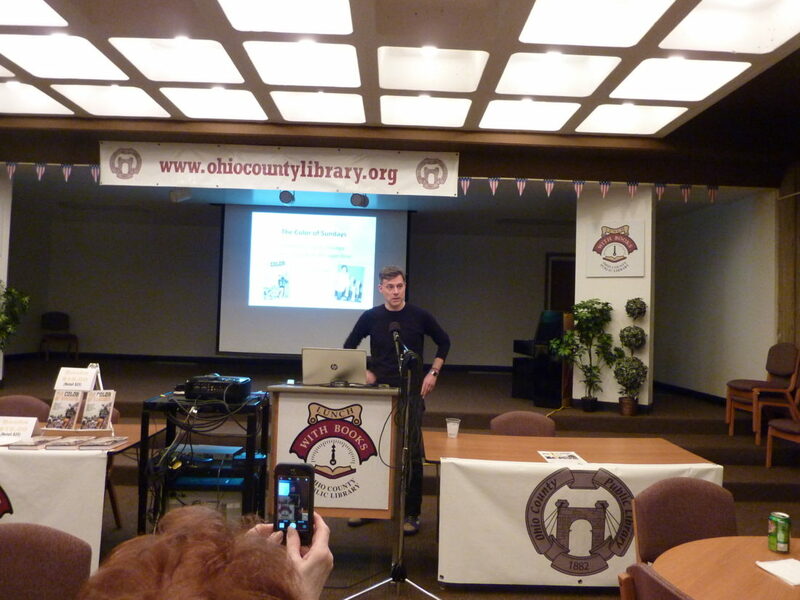 Reviewer Kristofer Collins didn’t love that I took several side trips — to boxing, Civil Rights, Jackie Robinson, etc. But to me, they were critical to the overall story. 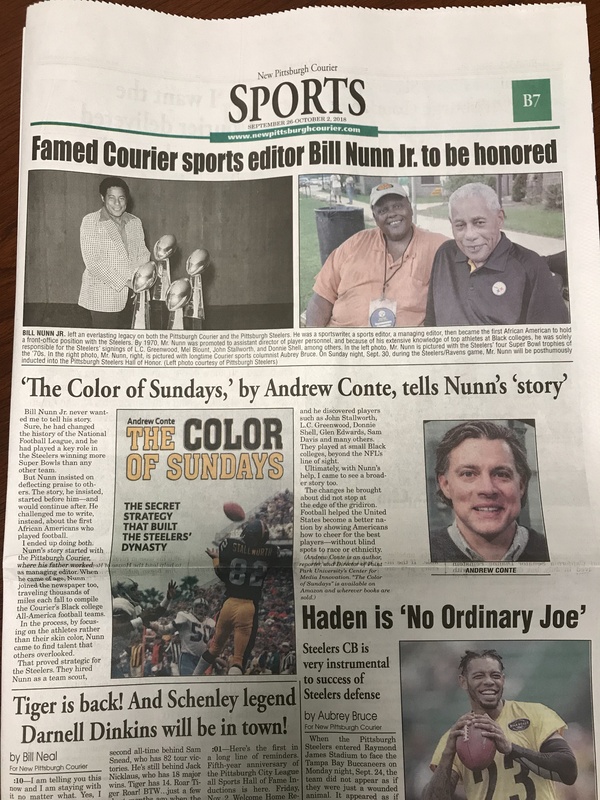 Not just of Nunn’s life and contribution to the Steelers, but to the larger story of integrating American life. Check out the full review here. And decide for yourself by checking out the book here.